Our professional dental team have extensive experience with implant surgery, allowing them to successfully restore missing teeth right here in our practice. Dr Dumi has done over 100 implant cases himself and is incredibly passionate about helping patients to regain a beautiful smile and fully-functional bite. 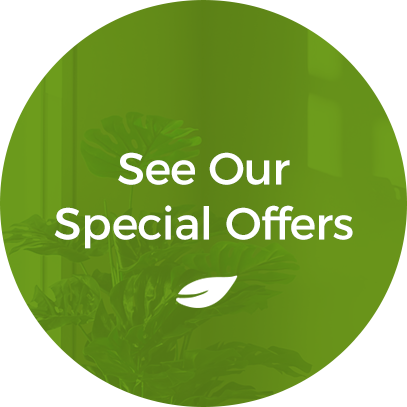 During his time within the dental field, Dr Dumi has also witnessed the long-lasting, durable, and aesthetically-pleasing results that implants provide. 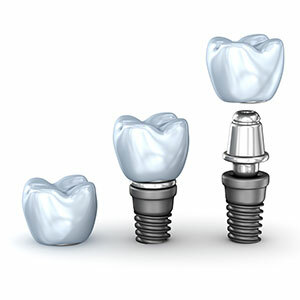 A dental implant can be described as a tooth-like titanium root, which is surgically placed into the jawbone. Within a few months, the implant successfully bonds to the jaw bone, allowing it to stay firmly in place for as long as a lifetime. The implant can then be fitted with a crown that looks and feels just like a natural tooth. Additionally, dental implants can be used to support a single crown, a bridge, or a denture depending on your needs. If you are missing one or more teeth, there’s no doubt that it can have a negative impact on many aspects of your daily life. Not only does your bite become affected, but the teeth next to the gap may begin to drift into the empty space, further affecting your smile. Additionally, you may find yourself too self-conscious to smile or laugh as you once did before, resulting in lower self-esteem and confidence. At Officer Dental Care, we believe no one should have to suffer from one or missing teeth. Thanks to our impressive experience with dental implants, we can help you to turn your life around. By investing in dental implants, you are able to restore the natural functions and health of your mouth. As a long-lasting and fixed alternative to bridges and removable dentures, dental implants produce predictable results. When cared for properly, dental implants have the capacity to last a lifetime. When you’re considering a dental implant, our professional dentist will thoroughly assess your mouth (including jaw bones and teeth) to determine if you are a candidate for the procedure, as well as if you will require a crown, bridge, or other removable denture. The implant placement is then done in two stages. The first part of the procedure is the surgical stage, where modern and pain-free surgical techniques are used to securely place the implant in your jaw bone. The second part of the procedure occurs once the dental implant is settled. This involves fixing the crown, bridge, or removable denture to the dental implant and ensuring it is appropriately matched to your adjacent teeth. Not only will your new implant look just like your other teeth, but it will also function as good as (or better) than your original teeth, giving you a beautiful smile that feels great too. Do you have one or more missing teeth and wish to discuss this treatment further with our caring team? Schedule a consultation today to see if you’re eligible for a dental implant.